Rising Star Competition Trophy - 26"
Pick our tallest Rising Star Competition Trophy - 26" for the ultimate winner of your dance competition, music festival or other event. Beautiful solid column and a 6 inch trio of stars figure top a 26 inch trophy. It includes a victory angel figure on the base, along with shining golden stars trim at the top. 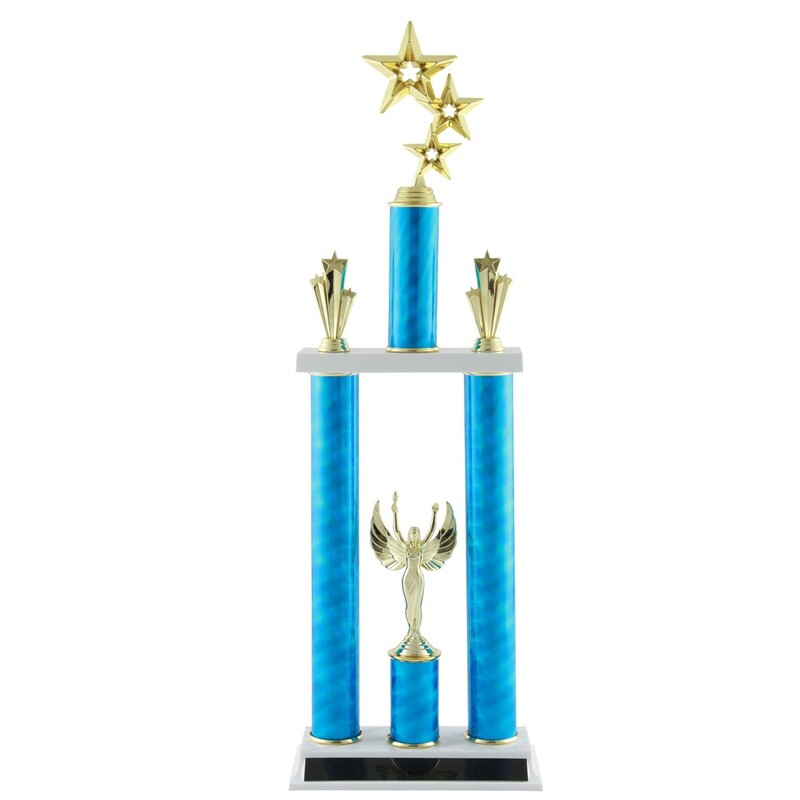 Award this epic trophy to the winners of your next event! Some Assembly Required: to reduce the chance of damage during shipping, this award comes in two pieces with instructions for easy assembly. Production time for this product is 1 business day(s); expected pickup or shipping date is 04-23-2019. Rising Star Competition Trophy - 23"
Deluxe Rising Star Competition Trophy- 19.5"
Deluxe Rising Star Competition Trophy - 22.5"
Rising Star Competition Trophy - 17"
Deluxe Rising Star Competition Trophy - 25.5"